UFP Technologies, a producer of custom-engineered components, products, and specialty packaging, will be exhibiting at MD&M West 2013 (Medical Design & Manufacturing West) February 12-14, 2013 in Anaheim, CA. The Company will have two booth locations at this year's event: 2465 and 2579. UFP Technologies services the medical device industry by designing and manufacturing custom components, specialty packaging, and products using medical-grade foams, plastics, films, and other advanced materials. On display will be custom medical device solutions such as: reticulated foam components for air and liquid filtration, thermoformed packaging for orthopedic implants, TPU film pouches used to protect medical instruments and sterile barriers, sterilization components, and infection prevention solutions. These medical packaging, components, and products are fabricated throughout the Company's seven ISO 13485:2003 certified manufacturing facilities, many of which include ISO Class 7 (Class 10,000) and ISO Class 8 (Class 100,000) clean room operations. As part of UFP Technologies' two booth locations at MD&M West, there will be solutions on display that were fabricated by the recently acquired PAC Foam Products based out of Costa Mesa, CA. 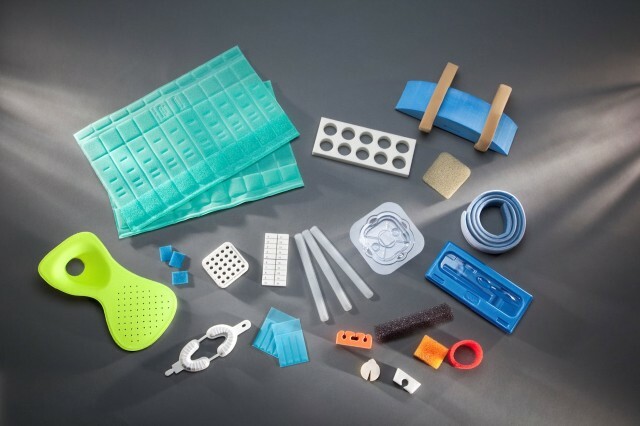 These solutions include surgical scrubbers, filtration components, heat sealed reticulated polyurethane foams, patient comfort products such as facial pads and surgical collars, and more.